This pillar located inside Chennakesava Temple (Keshava Temple). Visitors should avoid the temptation to knock this structure over :) - this baseless, foundationless 42 foot pillar just stands on a stone platform, held there by gravity. It has been standing since the reign of King Devaraaya in 1414. 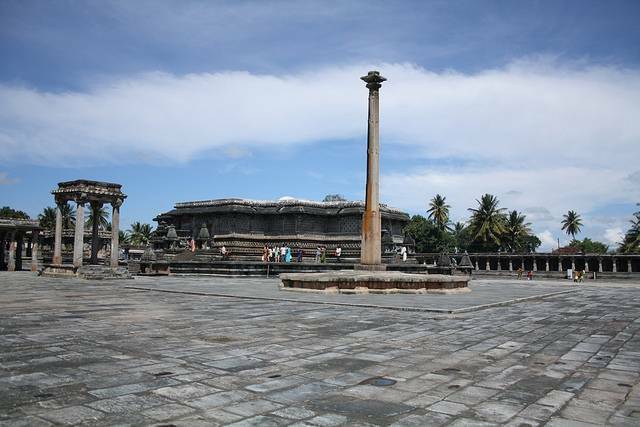 The column is made out of granite and stands tall above the other temples.